The honey locust is one of the last trees to form leaves. The leaves don’t last long either, but they do turn to an attractive, intense yellow color in autumn. 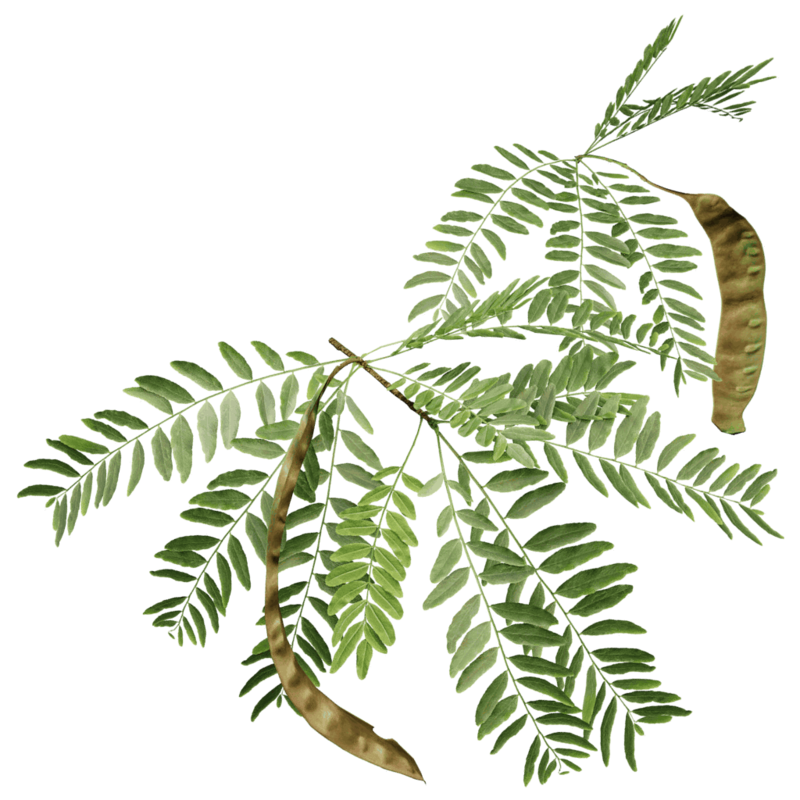 A distinctive feature of locust trees are the big dangling fruit pods. The locust is family to beans. They are basically enormous pea plants. 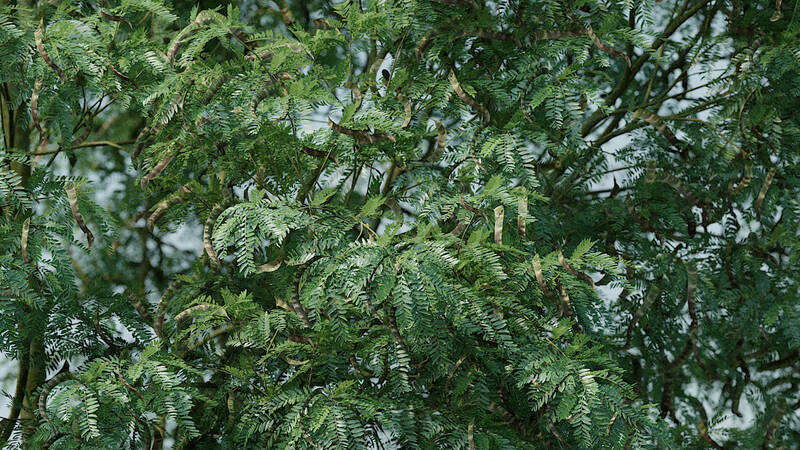 It protects its leaves and fruit with enormous thorns on its bigger branches.